This hinged lockable parking post allows the key holder (please note that spare or replacement keys are not available, so make sure you keep them safe) to block or allow access as necessary. This particular parking post is incredibly popular with those looking to protect their driveways, parking spaces or private roads from unwanted usage. The integral mechanism is vandal resistant and ensures that no-one unauthorised is able to lower or raise the folding parking post. 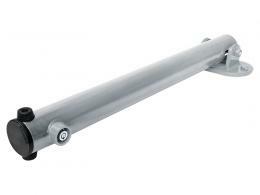 This post is hinged and therefore can be folded down on either side for the ultimate flexibility. What is the purpose of a Key lock Hinged Parking Post? 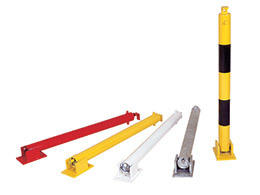 The key lock hinged parking post is primarily used to limit access to an area by unauthorised vehicles. In addition, it creates and extra barrier of protection for pedestrian traffic. This also allows users to control who is allowed to access certain areas and manage the level of security put forth. Our key lock parking post is hinged and therefore can be folded down on either side due to its ultimate flexibility with absolute ease. Where can a Key lock hinged parking post be used? This key lock hinged parking post is incredibly popular with those looking to protect their parking spaces, driveways, or even private roads from undesired usage. Retail locations that have limited parking, recreational clubs that prefer to limit specified parking for VIP patrons, homeowners that want to keep excess traffic from entering their drive, or even educational institutions that want to restrict parking to staff and students only. The essential mechanism is vandal and rot resistant. Who might use Locking Parking Posts? 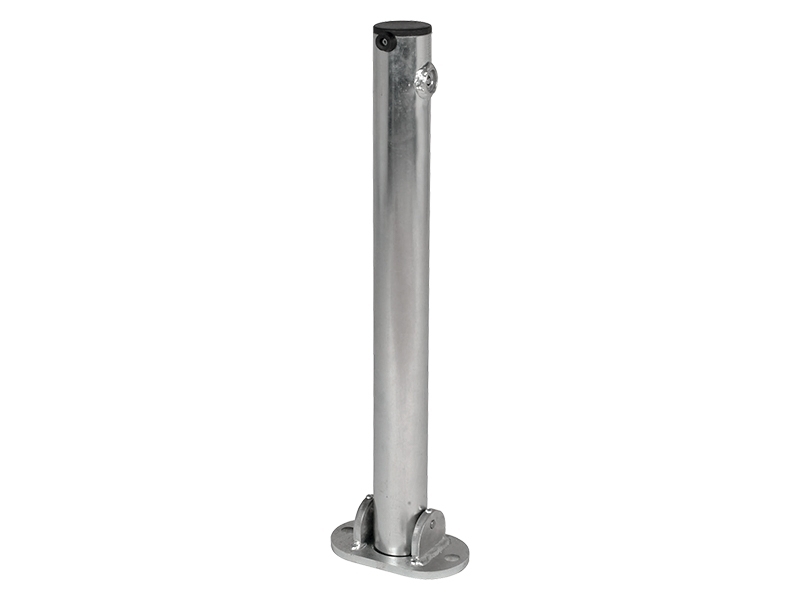 Our zinc plated key lock hinged parking post is heavy duty yet easily adjustable, making it operational by any staff member or person who needs to manage parking security. Parking attendants, home owners, retail management staff, campus security guards and even family members can operate the parking barrier with ease. The parking posts have easy to follow directions that don’t require special training making it perfect for every skill level. 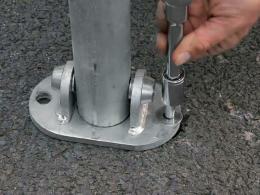 The dimensions of our key lock hinged parking post is 615(H) x Diameter 60(D)mm and is supplied with 2x fixing bolts. Folds down either way, it is an extremely integral security lock with enclosed mechanism. The post is highly secure and comes with a die cast set of non-replaceable keys. The Workplace Depot offers a standard one year warranty on all parts and labour.